The Redding Convention & Visitors Bureau is nominated for a SportsEvents Magazine 2018 Reader’s Choice Award after far exceeding the expectations of youth and amateur tournament organizers and participants. “Just to be nominated is an honor but we’d like everyone’s help to make sure the rest of the country sees all we have to offer,” said Sabrina Jurisich, Sports Commissioner for the Redding Convention & Visitors Bureau. Voting for Redding is simple – just three clicks, and takes less than 30 seconds. VOTE by clicking here, scroll down to find Redding under the “California” section, click the box that says "Redding Convention & Visitors Bureau", and submit! Vote as many times as you’d like before the voting period ends Nov. 10 at 10 a.m.
Redding is already known for its endless outdoor adventure sports spots like Shasta Lake, Whiskeytown National Recreation Area, the Sundial Bridge, and 225-plus miles of trails. But Redding also has attractions such as Big League Dreams Sports Complex, the Redding Soccer Park, and the Redding Aquatic Center that attracts visitors. 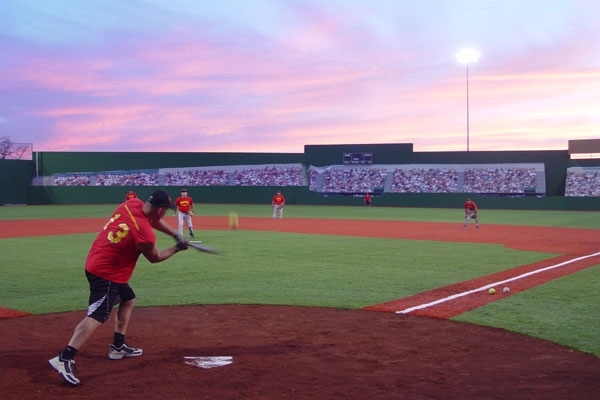 At Big League Dreams, kids and adults can feel like they’re playing in a big-league ballpark with a 30-acre complex full of scaled-down replicas of Boston’s Fenway Park, New York’s Yankee Stadium, and Chicago’s Wrigley Field. 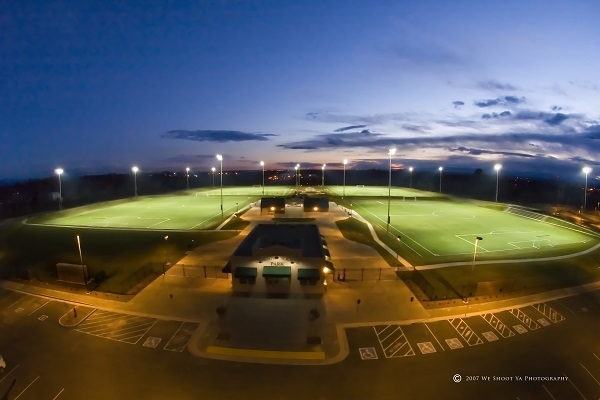 The park includes five lighted all-weather turf fields, stadium seating, batting cages, a Stadium Club restaurant, a new playground structure, sand volleyball courts, a 20,000-square foot pavilion to hose soccer, roller hockey, or basketball leagues and tournaments. The Redding Soccer Park (right) is a state-of-the-art 22-acre facility with four all-weather synthetic turf fields with lights. The college-regulation size fields are encompassed by elevated seating and paved walkways throughout the park, and a full-service restaurant. The Redding Aquatic Center has an Olympic-size, 50-meter by 25-yard competition class swimming pool, along with a recreation pool with zero depth entry, a children’s play feature, and a 160-foot waterslide. See below by watching our Sports Facilities video!